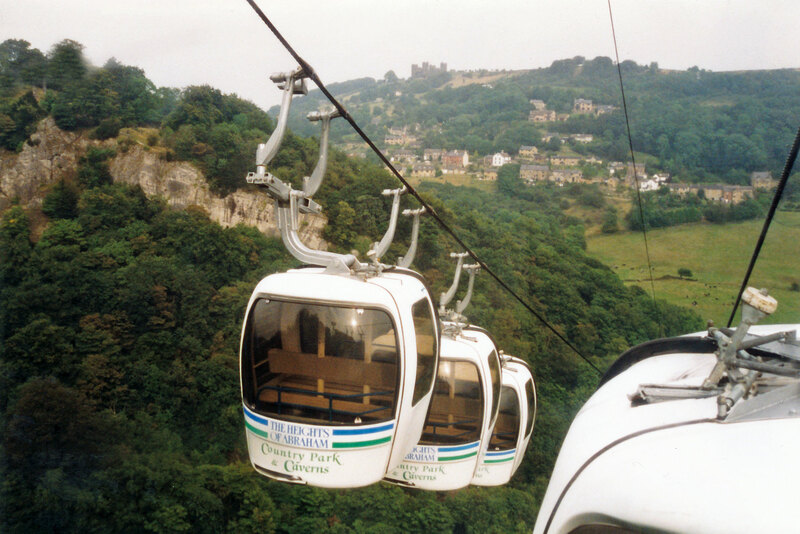 This page shows images of the aerial cable cars, chairlifts etc in the UK. 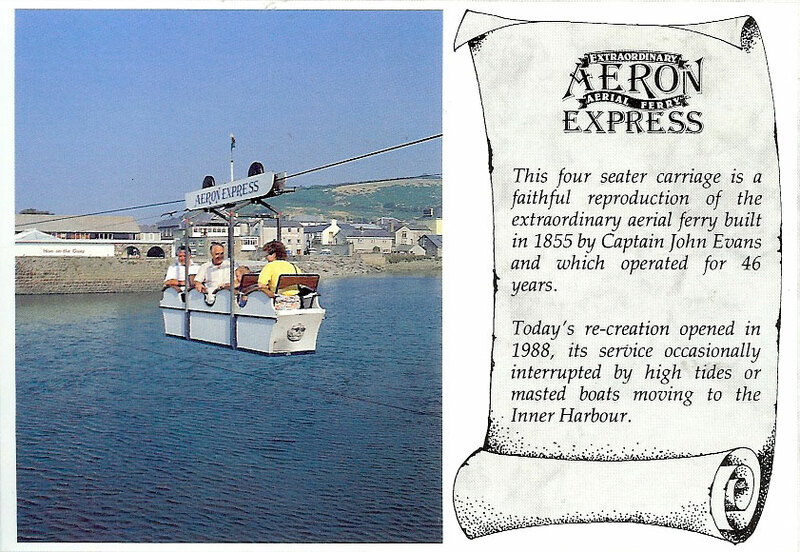 In the late1890s, a hand-powered cable car 'The Aeron Express' was built to ferry workers across the harbour when the bridge was demolished by floods. The structure was recreated in1988 as a tourist attraction that ran until the end of summer 1994. Judges postcard of the 1988 Aeron Express'. Heights of Abraham cable car at Matlock Bath. The cable car was opened in 1984 and was the first alpine cable car in Britain. The route is 568m (621 yards) long and climbs 169m (185 yards). The original cars were replaced in 2004.